In 2006, after 31 years of health and happiness, my heart began a rapid, inexplicable decline. Doctors were baffled as to the cause. However, they were certain that the only thing that would prolong my life would be a heart transplant. I was sent to the Cleveland Clinic where I had to stay until I could receive my life saving transplant. At the time, my wife and I had been married for just over a year, and she was six months pregnant with our first child. Thankfully I was on the national transplant list for only seven days when events transpired leading to my new heart. With only minor issues post-transplant, I was able to return to my wife and home in Cincinnati four weeks before the birth of our son. Since my transplant in 2007, I have been blessed to return to a “normal” life. This gift of life has afforded me the chance to be husband to my wonderful wife and father to our three children (ages 6, 3, and 2). 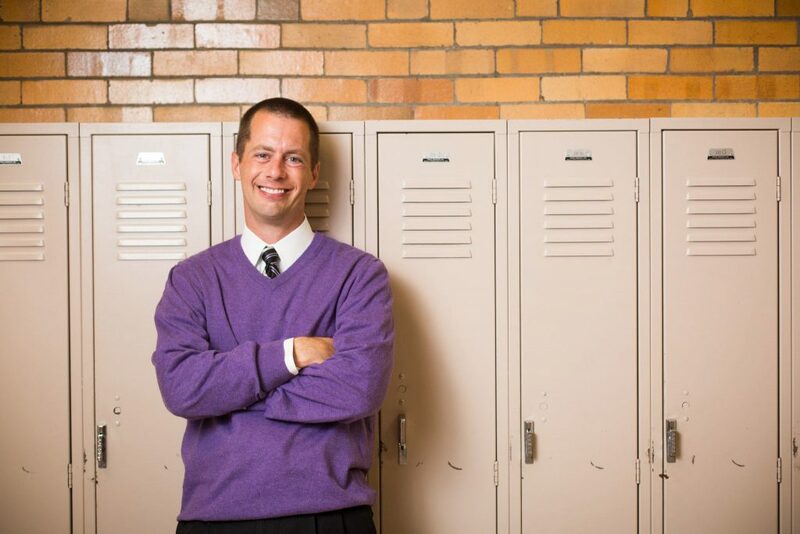 I continue to teach at Elder High School where I also coach volleyball, lead spiritual retreats, and facilitate mission trips to Central America for the students. I have received a truly amazing and selfless gift of life from my donor and donor family. As a result, I try to live each day with an attitude of gratitude so that I might pass on the tremendous gift of love that has been given to me.